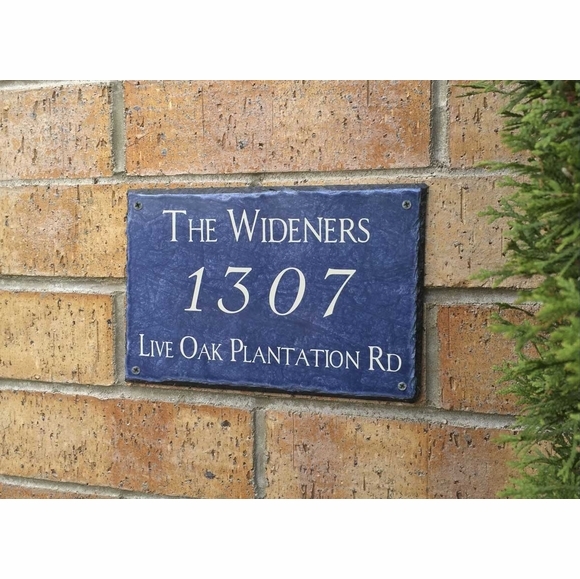 Blue Slate Address Plaque - - 3-line slate address sign. Made in USA. Name up to thirty (30) characters. Address number up to six (6) digits. Street name also up to thirty (30) characters. Colors: blue slate with chalk white wording. Address number in large image above: 1307 Live Oak Plantation Road.